Looking for something different that looks amazing and is a lot of fun for a large crowd? This Superman challenge obstacle course is what you need! 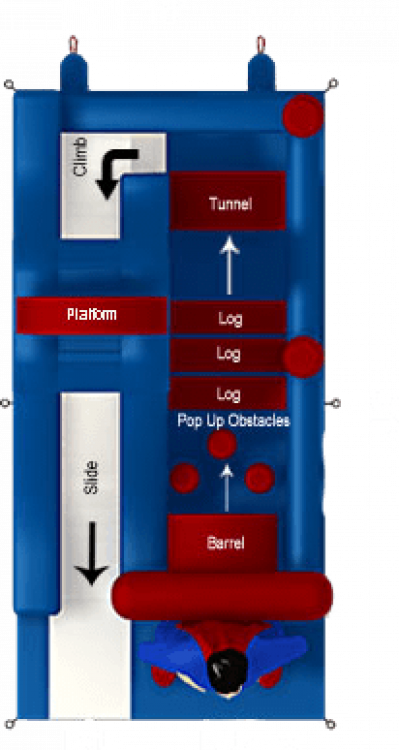 Join Superman in fighting crime as you crawl through the tunnel, around pop-up and log obstacles, and climb your way up and then down the slide for a super-fun finish! 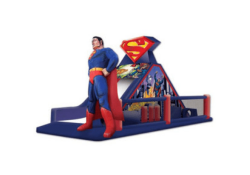 Awesome digital graphics are printed on each side and the 16′ tall Superman will draw the attention of all the young super heroes. Even though it may seem big, at 30′ long and 15′ wide it can still fit in most back yards.